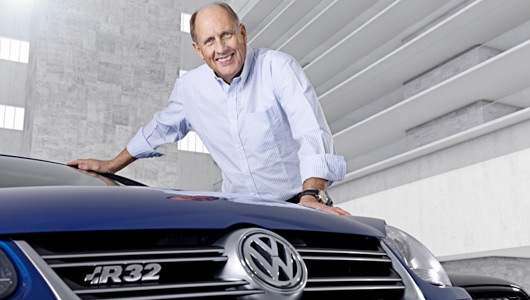 Hans-Joachim Stuck is a man who has a rich Nürburgring heritage. He has been racing on the Nordschleife since the late 1960s. In that time he has secured numerous victories, including three outright wins in the Nürburgring 24 hour race. 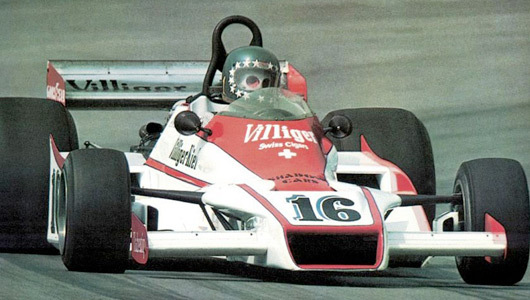 Of course, Hans Stuck’s career has extended well beyond the Eifel track, to Formula One, Le Mans, Group C sportcars, touring car racing and many other forms of racing. He is Mr Versatile. He also seems to be a pretty good bloke, and he has been kind enough to lend some of his time to AUSringers. So, read on after the jump and learn some more about the man behind the distinctive multi-star helmet design. AUSringers: Your first ever race was at the Nürburgring in 1969, can you describe your feelings as you lined up on the grid that day. 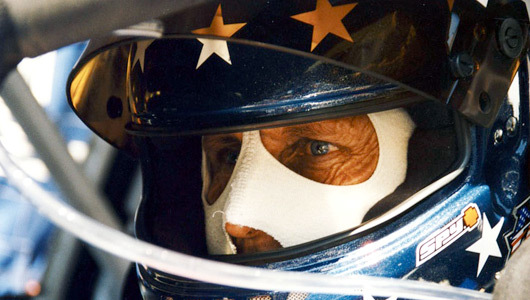 Hans-Joachim Stuck: Getting to the grid was extremely exciting. All of a sudden, my wishes to become a racer came true. I just wanted to start the race and give everybody hell! Ar: The Scuderia Hanseat training course formed part of your development as a young driver in the late 1960s, and they still run at the Nürburgring today, how much do courses such as this help to improve driving skills? HJS: Nowadays you have to start your career in karting. If this does not work and you are a late starter it is very necessary to visit a racing school like Scuderia Hanseat if you intend to compete in races at the Ring. 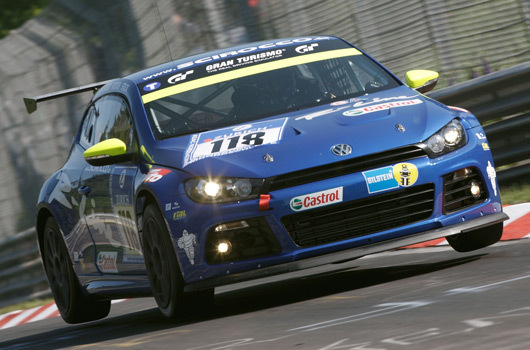 Ar: You won your first Nürburgring 24 hour race in 1970 at the wheel of a BMW 2002TI, can you compare that experience with your most recent N24 race behind the wheel of the Volkswagen Scirocco. HJS: Comparing my 24hr race in 1970 with the last race in 2009 is like comparing scrambled eggs and caviar. Just imagine safety issues or preparation of drivers and relaxing methods during stints. In 1972 we spent the night in the pits sitting on camping chairs, drinking Coke and eating fries. Nowadays you stay in fancy coaches with therapists, eating and drinking food developed in universities. Driving in the 70s was real racing. No ABS, DSC, ESP, XDS and we had bad headlights. Now, the cars are fully loaded with electronics, perfect seats, automatic drinking bottles, DSG paddle shift and perfect xenon head and corner lights. Ar: In 1998 you won your second Nürburgring 24 hour race, this time in a BMW 320d, can you tell us more about the experience of being the first team to win the race in a diesel powered car. HJS: I never forget when Mr Kalbfell from BMW asked me to drive the 320 Diesel at the N24. I thought he must be mistaken. Very quickly I understood what a great idea this was—being able to combine a 320 racecar with the ability to run for four hours on a tank of gas. When you started a stint, the first hour was the worst because you knew that you have at least three hours more to go! However, it didn’t take long to for me to find a great rhythm and I enjoyed driving for such a long time, even if I was really on the edge in terms of my physics. Ar: In 2004 you won your third Nürburgring 24 hour race in the M3 GTR (see clip above). This is an amazing racecar, was the 2004 race an easy one for you and the team? HJS: The M3 GTR was, at this time, the perfect racecar for the Ring. Great V8 power, and all the technical advantages you could dream of. 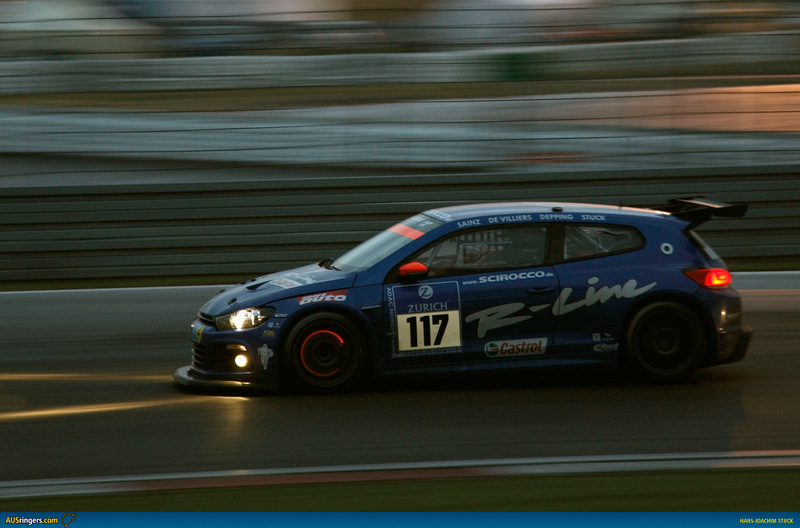 Still, it was a tough race because of all the typical Nürburgring adventures. Ar: You have enjoyed a special relationship with BMW throughout your career, was it hard leaving them and how is your new relationship with Volkswagen? HJS: On one side it was kind of tough to go and say: Hi guys I do not want to extend my contract. On the other side my new job with VW gives me the chance to put in all my experience of 37 years work in motor sport and I’m very happy and thankful to have such an opportunity. 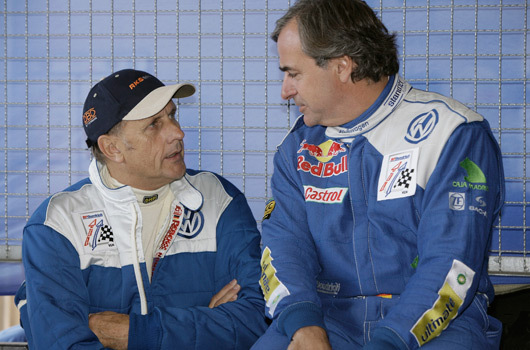 Ar: Former World Rally Champion Carlos Sainz was in unfamiliar territory as part of the Volkswagen team at the N24 in 2008, he then raced for VW in the Dakar rally at the start of this year. Could you ever see yourself in a an event such as the Dakar? HJS: Dakar is not an option for me. I saved my back in all the years of racing and in my late days I do not want to take such a risk. 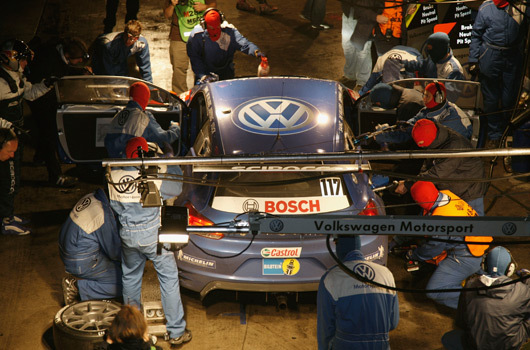 Ar: Will you be racing in the 2009 N24 for Volkswagen? If so, what car will you be driving? HJS: I will be racing at the 24hrs this year, but not with Volkswagen. Ar: Can you describe what it was like being a part of the 1976 German Grand Prix, the infamous race where Niki Lauda crashed and the last F1 race held on the Nordschleife. HJS: It was terrible to see Niki after the crash and my only thoughts were how can I help him. Finally I had the idea to persuade the driver of the Ambulance not to take the long way back to Start and Finish and then down to Adenau. He turned the car and went against the race direction about 1km to the Adenau exit. All the racecars where either at the accident scene or in the pits. This saved Niki about 60 minutes of unnecessary driving around. Ar: In 2007 Nick Heidfeld drove an F1 car on the Nordschleife for the first time in over 30 years, fans around the world really appreciated seeing a current F1 car on the old circuit. As someone who has competed in F1 at the Ring did you enjoy this too? HJS: Actually, I was disappointed that BMW did not ask me to do this. Ar: Your F1 career didn’t quite reach the heights your potential promised, do you have any regrets? HJS: No regrets. 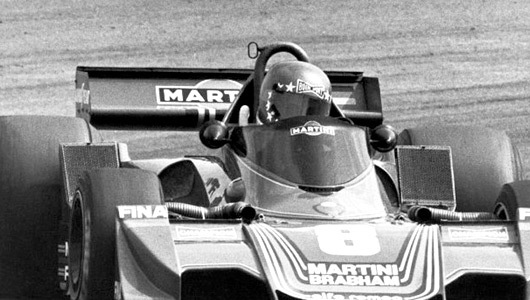 I survived and in my best year with Brabham-Alfa I was able to show my potential. 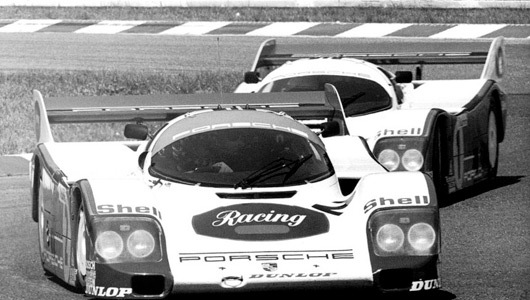 Ar: You had a lot of success driving the famous Porsche 956/962 racecars, are they your favourite? If not, which is the favourite car from your career? HJS: The 962 is my all time favourite racecar. They had a perfect combination of power and downforce. Ar: You have driven a lot of racing cars on the Nordschleife, but one car that stands out, which was not a racecar, is the BMW X5 Le Mans. In 2001 you set an amazing time of 7:49.92, can you tell us more about that and what the X5 was like around the Nürburgring. HJS: BMW called me and told about the program. The regular test drivers came to the end of their talent at a lap time around 8.15. So they needed a crazy one to try a bit harder. It took me one second to say yes! Anyway, it was an experience I was glad not to have missed. After that, Gerhard Berger always wanted to get the car to try it. Fortunately they never gave it to him! 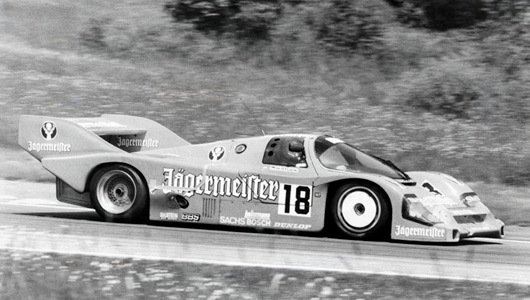 Ar: Do you think Stefan Bellof’s Nürburgring lap record of 6:11 will ever be beaten? If so what sort of car do you think would be capable of such a lap? HJS: I think this will not be possible because there are not such cars around with this kind of downforce and guys with such big balls like Stefan. Ar: The Nordschleife or Le Mans, which is tougher? Do any other racetracks in the world compete with these two famous circuits? HJS: No doubt. Nürburgring is three times harder than Le Mans. Le Mans has much longer straights between the corners, no uphills and downhills and doesn’t have 220 cars on the track. The only other race that can roughly compare is Road America in the US, but it is not really a competitor. Ar: The Nordschleife is famous for its fast flowing corners and sudden changes in altitude, which are your most favourite and least favourite sections of the track? HJS: My most favourite is the section from Hohe Acht to Schwalbenschwanz. I don’t like the Breidscheid Area too much. Ar: Public laps around the Ring are very popular today, do you have any advice for anyone considering this for the first time? HJS: Rule #1, never lose respect for the track. Do not try too hard when you do not know the track 100%. 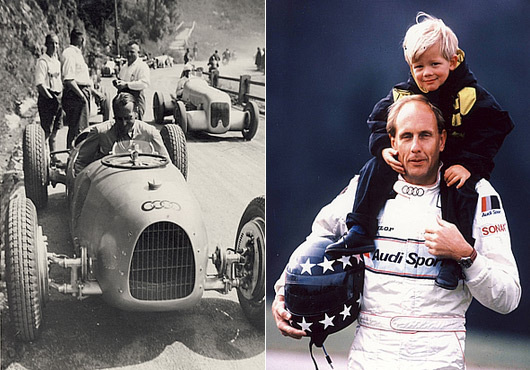 Ar: Your father was a strong influence in your racing career, more recently you have been competing with your eldest son Johannes, it must be a nice feeling seeing the third generation taking to the race tracks? HJS: It feels nice indeed, but it is not so easy sometimes. It takes me back to my childhood. I never listened to my Dad and always had to make my own experience. But when I shared the first podium with Johannes I had some tears and thought about my Dad watching us from hell or heaven. Ar: You have had an amazing career spanning several categories, is there one driver you have competed against that stands out the most? HJS: I can’t tell you who was the most outstanding I competed against. The most liked were Derek Bell and Boris Said. Ar: You are active on the guestbook section of your website, do you enjoy the opportunity to interact with your fans? HJS: I think it is a kind of pay back for the fans. I appreciate the comments on the website, no matter if they are nice or not. This is important feedback for me to see if I’m still going okay. It is really nice to have fans. I think it’s safe to say Hans will have earned a few more fans after reading this interview. AUSringers thanks Hans-Joachim Stuck for his time and as a small souvenir for all, you can download the two images below in the wallpaper friendly sizing of 2000x1320px. Says it how he sees it – respect to him for that. Great work Liam. Thanks Hans for taking the time. Great interview generating some great insights !